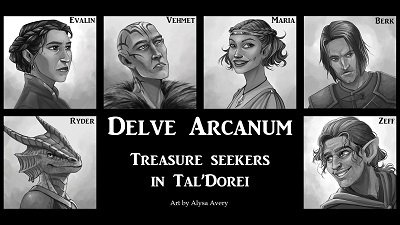 Join Delve Arcanum, a group of plucky treasure-seekers as they embark on a brand new adventure full of shocks, surprises and suspense. Set in the world of Tal’Dorei, as seen in Season 1 of Critical Role, this game is sure to be fun whether you’re a seasoned Critter or someone completely new to the game! Brought to us by Artemis! Register to play on the day.